If you're hosting a live event or other function, you may be required to have a sign language interpreter onsite to facilitate communucation with guests who are deaf or hard of hearing. Translation Services USA can provide you with a sign language interpreter for your event or other occasion. Don't see your language on the list? Get in touch with us anyway and we may be able to help connect you anyway. Additionally, we may be able to provide bilingual sign language interpreters to help you not only interpret between two different languages, and then sign in either language you need depending on your audience. 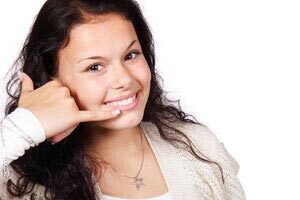 If you have questions about sign language interpreting, what's involved, and what's required, please contact us today and let us know about your needs. One of our representatives will be in touch to answer any questions you may have.